Goodbye pants, hello comfort. Designed for lightweight flexibility and versatility, our newest innovation, Spray-On Yoga Pants, will take us to a through our practice without the fuss. Not only does the "new product" poke fun at Lululemon's obsession with body conscious design, it also recalls several of the company's former publicity gaffes. The thing is that women will wear seatbelts that don’t work [with the pants], or they’ll wear a purse that doesn’t work, or quite frankly some women’s bodies just actually don’t work for it. 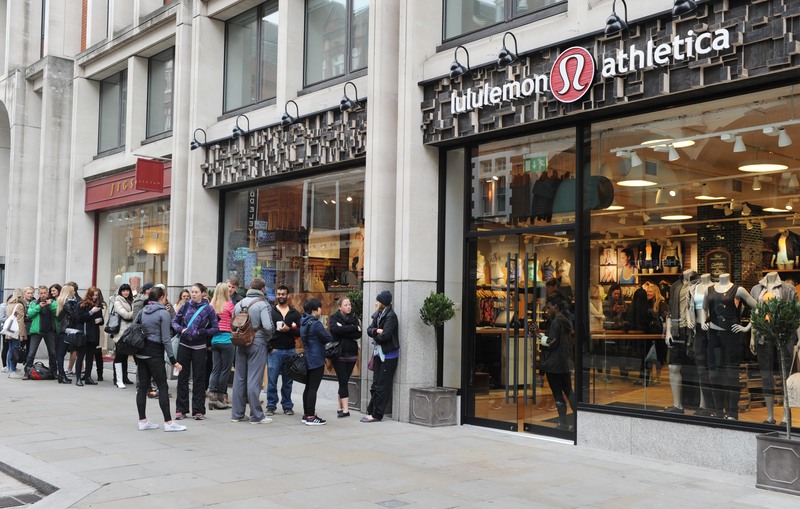 The Lululemon spray pants certainly play on the many PR issues the company encountered in 2013, but it does appear Lululemon is appealing to its consumers' sense of humor for 2014, in addition to taking a more mindful, "humility"-driven business approach in the coming year. Whatever the case, the prank is a step in the right direction for Lululemon, because let's face it: we love a good pair of flattering yoga pants almost as much as we love a company that's willing to poke fun at itself.